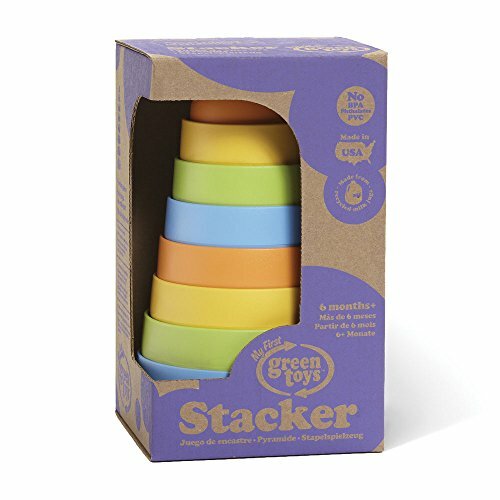 The My First Green Toys Stacker takes a classic toy and makes it safer and more playful. 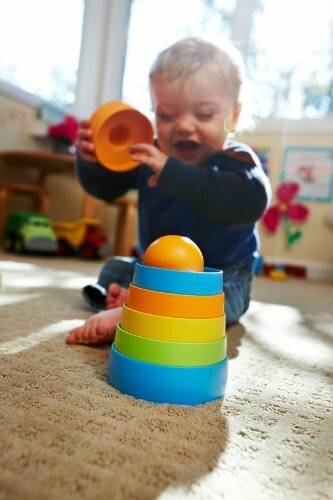 With 8 graduated pieces and no center post, it’s a perfect first stacking toy for babies. Made from food-Secure, 100% recycled milk jugs in the united states. No BPA, PVC, or phthalates. 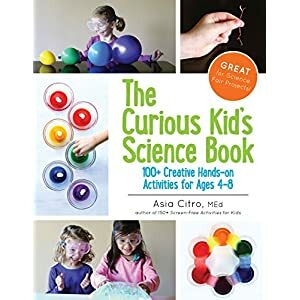 Really useful for ages 6 months and up. 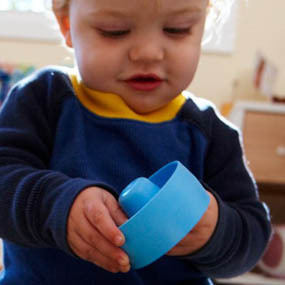 Made from food-Secure recycled plastic with no external coatings or dyes, this super-Secure toy is fun for babies and worry-free for parents. 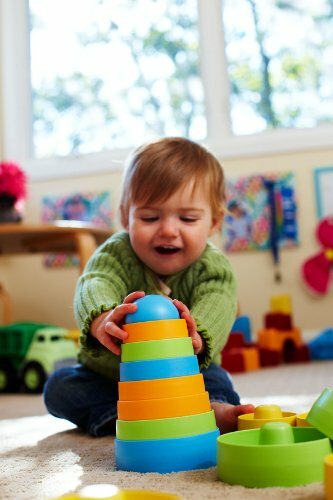 The My First Green Toys Stacker is Secure, with no sharp edges, small parts, or interlocking pieces that can pinch fingers. Its unique design has no center post, meaning no threat of impalement. 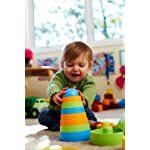 This super-Secure toy contains no BPA, Phthalates, PVC, or external coatings, getting rid of the fear of toxins and lead paint, and also meets FDA standards for food contact, making it Secure for teething babies to put in their mouths. 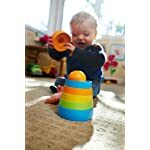 The eight whimsically colored nesting pieces (2 each of blue, green, yellow, and orange) stack easily from large to small, whilst also allowing little builders to use their imagination and stack in any order. 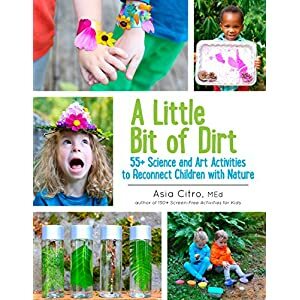 This eliminates frustration when children are little, and leaves room for learning and improvement as they grow. 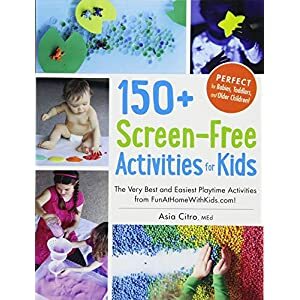 Children can develop hand-eye coordination and color recognition whilst having a number of Good Green Fun. The Stacker is also dishwasher Secure, making it great for both indoor and out of doors play! 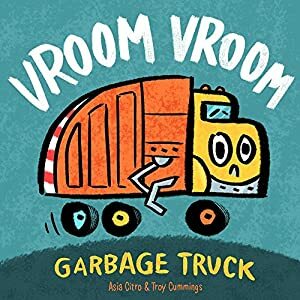 Classic Play that’s Made in the united states! 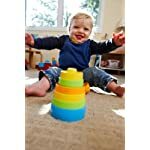 Like all My First Green Toys products, the Stacker is manufactured in the united states with a tight, local supply chain that minimizes transportation emissions and supports the domestic economy. 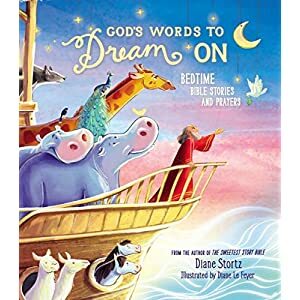 Made from 100% recycled plastic milk jugs that save energy and reduce greenhouse gas emissions, its packaged the usage of only recycled and recyclable materials and printed with soy inks. 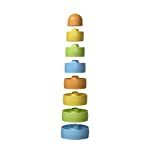 One 8-piece (2 each blue, green, orange, yellow) Stacker. 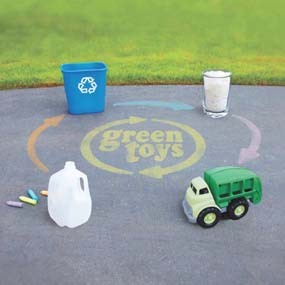 Green Toys products are made from 100% recycled plastic milk jugs (#2 recycled HDPE). 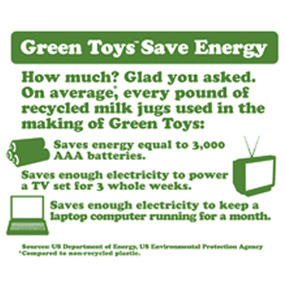 My First Green Toys are manufactured and assembled in California from 100% post-consumer milk jugs, and contains no BPA, phthalates or PVC. 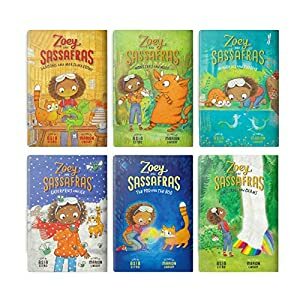 This is a part of a new line of , Secure products for younger kids. 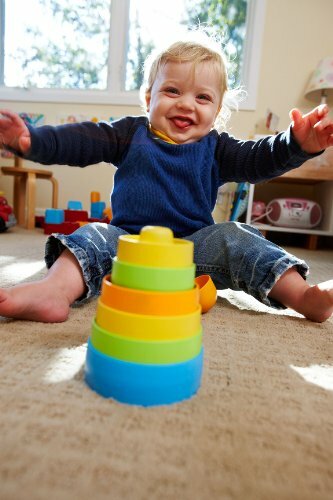 This stacker is Secure for babies as young as 6 months, but is also fun for older children. 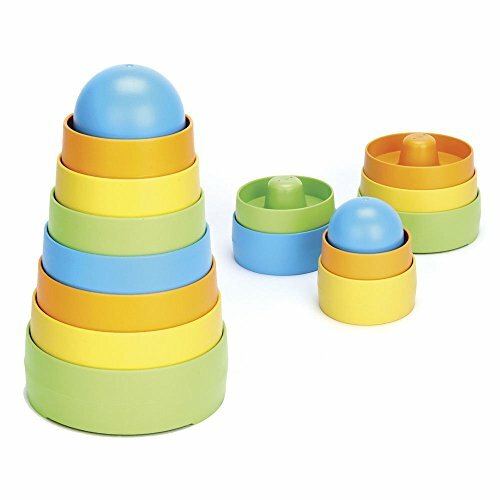 Set includes 8 stackable, nesting pieces. Extra Secure, with no center post.